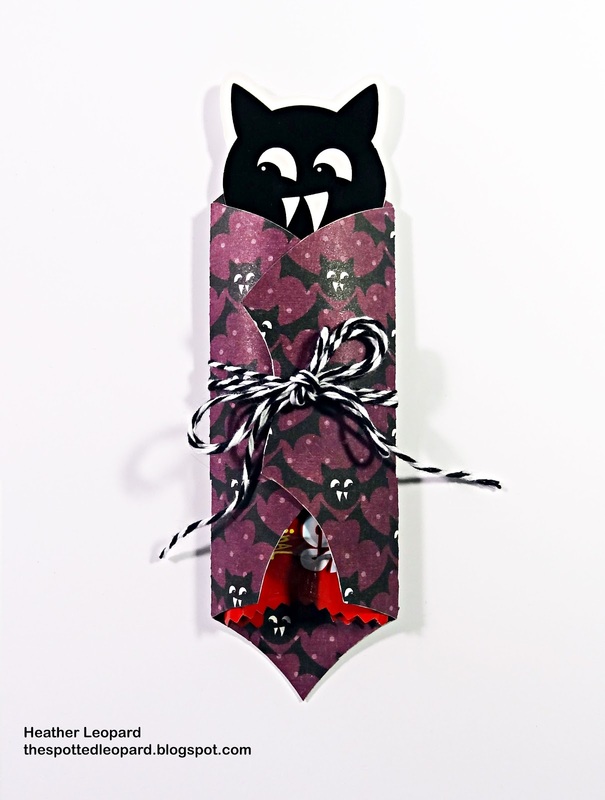 Imaginisce is celebrating the release of their 2012 Halloween collection, Monster Mash, this week. I've been playing with this new collection and created these little goodies. This layout today focuses on that moment when kids get home from trick or treating and can't wait to look at what they got. My girls always run in and immediately dump their candy out to ooh and ahh over it. Here's my sweet "princess kitty witch" with all her loot. I distressed and layered coordinating paper and the journaling spot under my photo to frame it up. I topped off an accordion rosette with a cute little brad perched on a flower, which was punched from the small i-top punch. 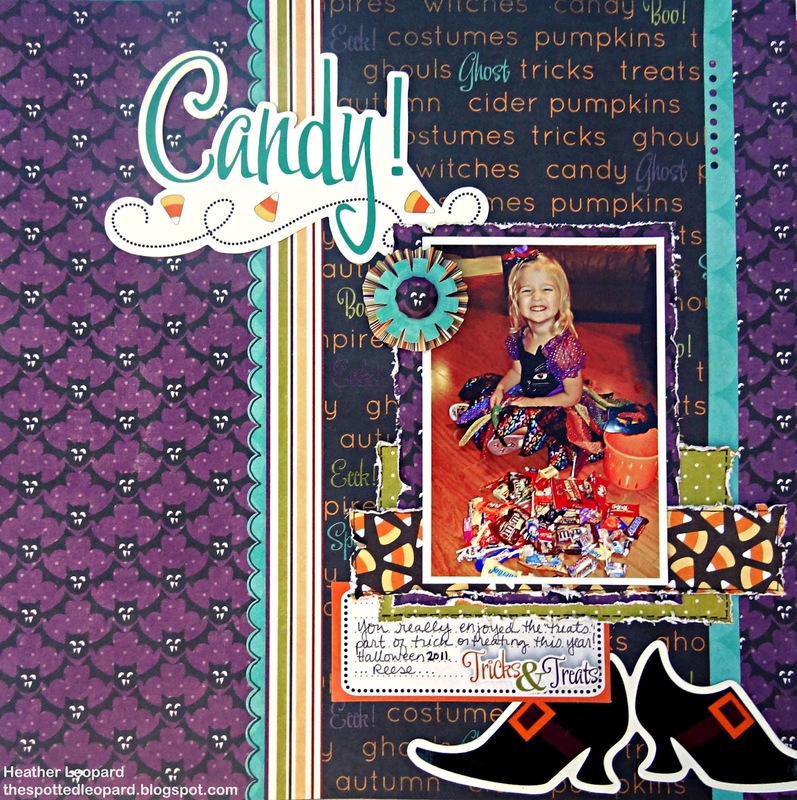 The title and witch shoes die cuts are the perfect finish to the page. 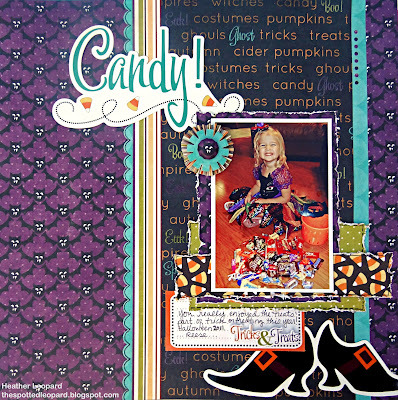 For my second project today, I thought it would be fun to stick with the "treat" theme and wrap up some candy in these cute little wrappers, which I cut with my CAMEO. I used the bat from the Monster Mash die-cuts for the cute face. I think these will be fun to send with my girls to give away to their friends at their school Halloween parties. oh this is adorable! i must remember this! 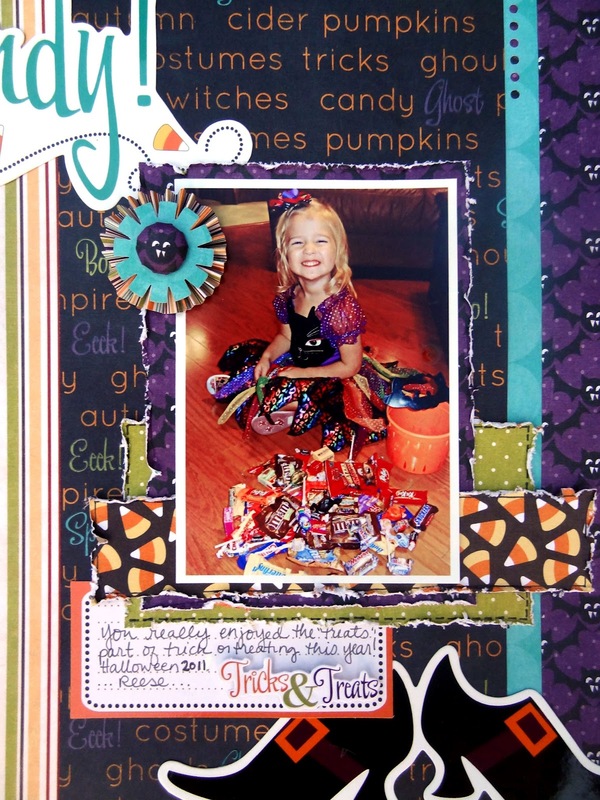 Such a cute page with those witch shoes, Heather! 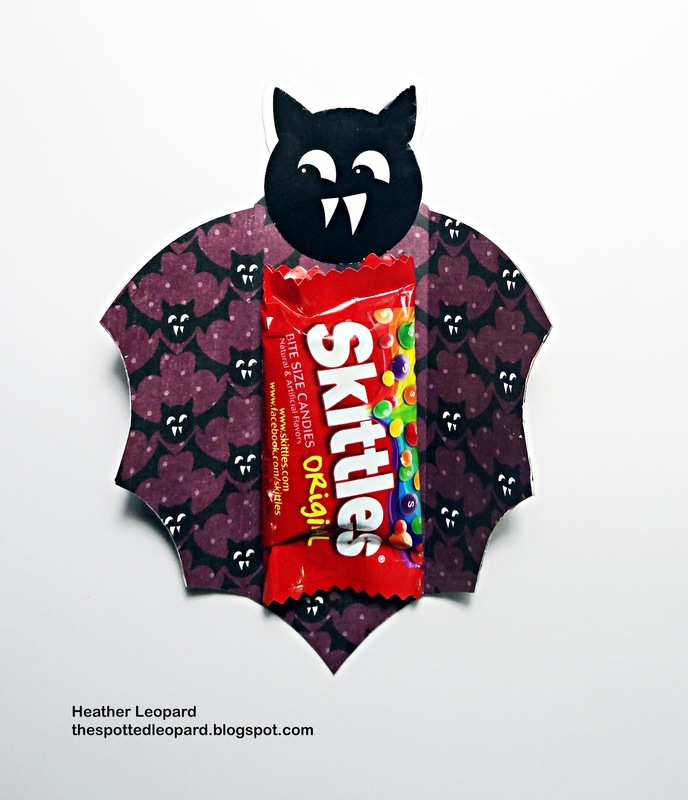 Love the adorable bat treat holder too!